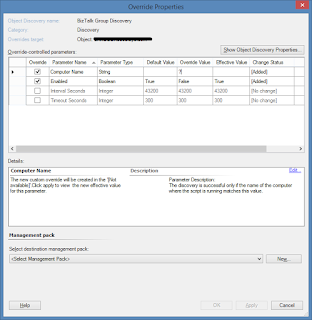 The BizTalk group SCOM discovery will not work until a stopped first server is removed from the group unless you do the following the Computer Name property override for the discovery. 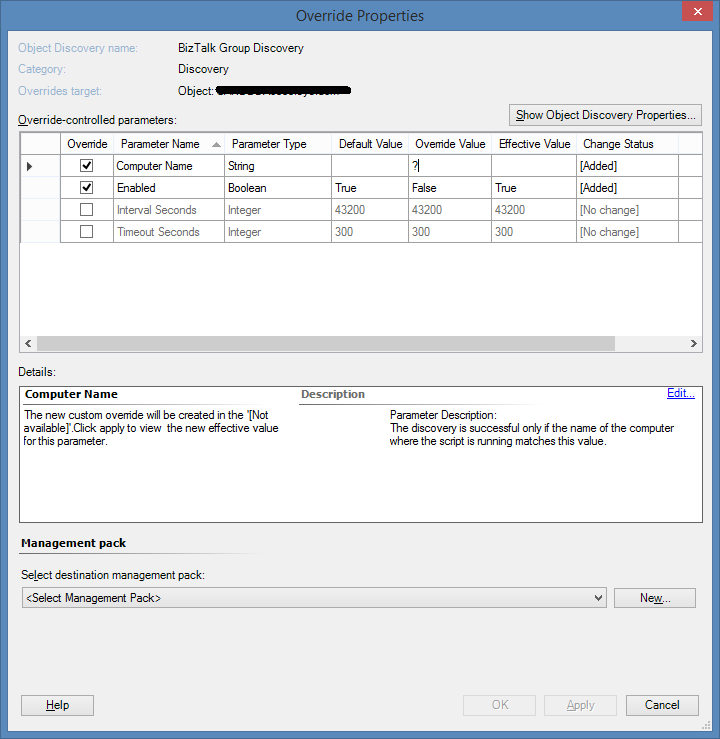 Go the SCOM Authoring pane, search for the object discovery called BizTalk Group Discovery and override this for a specific object of the BizTalk run-time role (select one of the running servers). From the Name column of query result copy the exact server name (casing and all) matching the BizTalk Run-Time Role object for which you chose to override the discovery. Infiltrate the gaming world with BGAOC online casino, win and get income by day. great game slot online Play at any time in an online casino.